Caremark (Dacorum & St Albans) is a Home Care provider, offering domiciliary Care and Support services, including 24-hour live-in care (Habito), to people within their own homes and in their local communities. Professional, flexible care and support in your own home. If you are looking for Homecare Services or someone to support you with care at home, allowing you to maintain your independence and enjoy the best possible quality of life, Caremark (Dacorum & St Albans) can help. 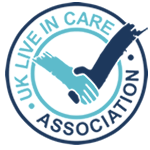 We offer care and support to help people who have chosen to continue living at home safely and comfortably. General companionship - someone to chat to over a cup of tea. We provide a bespoke service, tailored to match your specific needs and preferences as well as your budget. There is no real limit to the type of support we offer. It may be something as simple as 30 minutes domestic call each day at a time to suit you, to live in care packages.